Trump Nixes DACA Deal, Citing 'Caravans' of Illegal Immigrants - Integration Through Media ....! 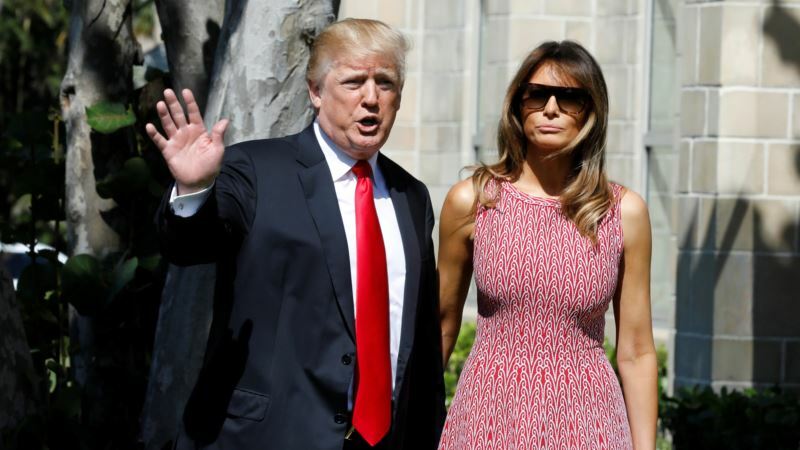 (VOA): U.S. President Donald Trump called for tougher immigration laws Sunday, vowing that there would be no deal for DACA recipients. "Border Patrol Agents are not allowed to properly do their job at the Border because of ridiculous liberal (Democrat) laws like Catch & Release," Trump wrote on Twitter Sunday morning. "Getting more dangerous. “Caravans” coming. Republicans must go to Nuclear Option to pass tough laws NOW. NO MORE DACA DEAL!" "These big flows of people are all trying to take advantage of DACA. They want in on the act!" he said in a follow-up tweet. Commentary on the Fox news channel earlier Sunday had used a headline referring to "caravans" of illegal immigrants to the U.S. The Deferred Action for Childhood Arrivals, or DACA, was enacted under the Obama administration and had allowed children brought illegally to the United States to remain here and legally study and work. The Trump administration ended the program in September, but gave Congress six months to come up with a permanent plan for the program recipients. Despite Democrats' efforts, the recent spending $1.3 trillion spending bill, signed by Trump last week, made no mention of protections for these so-called Dreamers. Democrats had called on Republican leaders to bring to a vote on the House floor a range of proposals to fix DACA. Meanwhile, federal judges have ordered the Trump administration to keep in place certain parts of DACA while legal challenges make their way through the court system. Trump had initially said that he would agree on protections for DACA recipients if Congress approved funding for a proposed wall along the U.S. southern border with Mexico. In another tweet Sunday morning, Trump blamed Mexico for "doing very little, if not NOTHING" to stop the flow of migrants into the United States, threatening to "stop" the North American Free Trade Agreement. Officials from the U.S., Canada and Mexico are supposed to meet in the United States next month for the eighth round of talks about NAFTA, although Washington has not announced dates yet.